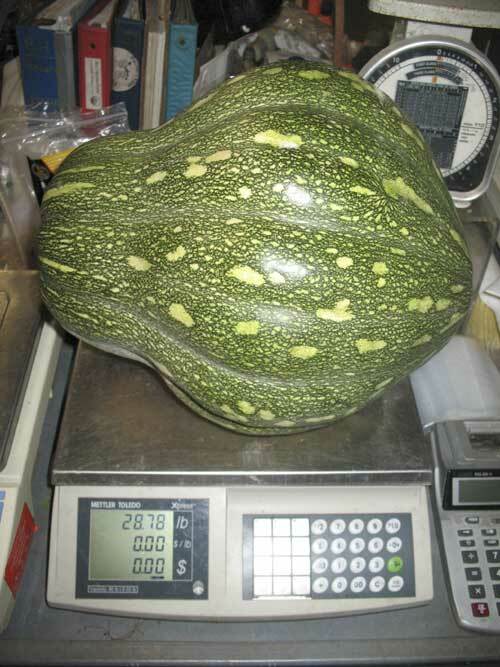 Last week Cliff Middleton brought over two giant calabazas. They were huge! One could fit inside a full share box, maybe. 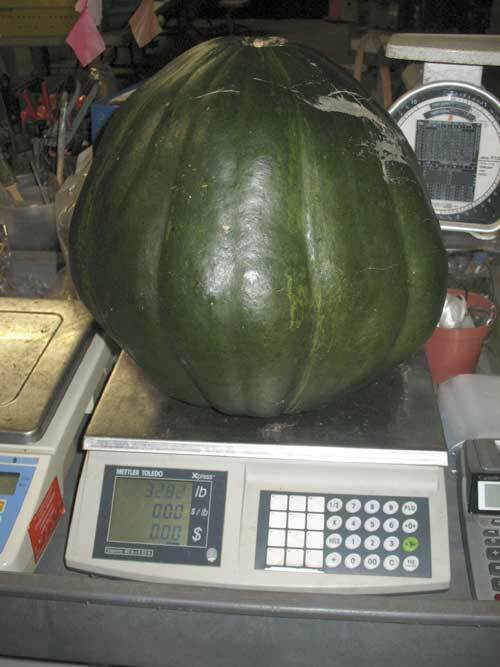 Grabbed a squash and waddled across the barn to weight it — 28 pounds! Weighed the other one — 32 pounds! What kind of organic goodness is Cliff doing over at Three Sisters Farm to get things to grow like that?? Or maybe it’s just the nature of the squash — they want to rule the world.